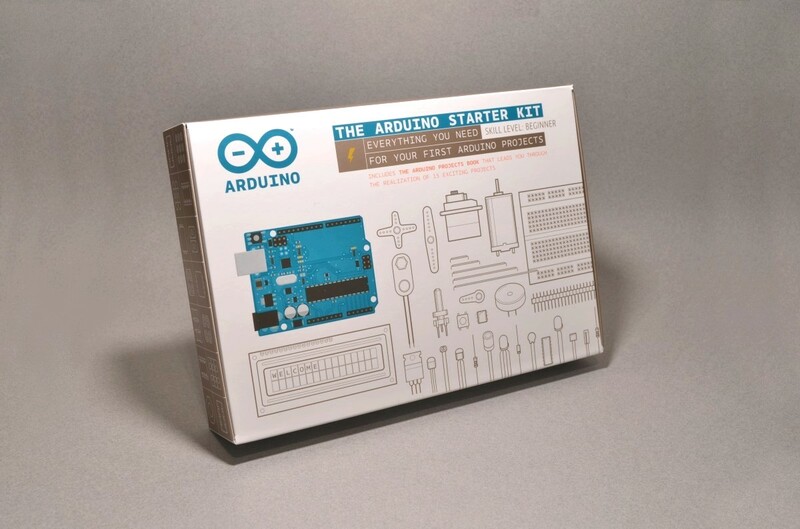 The Arduino Starter Kit is a great way to get started with Arduino, coding and electronics! It includes the components you need to make 15 fun projects following the step-by-step tutorials on the Project Book. A hands-on guide for learning Arduino basics. You learn through building creative projects. Included is the variety of most used and important electrical components to power 15 creative projects. 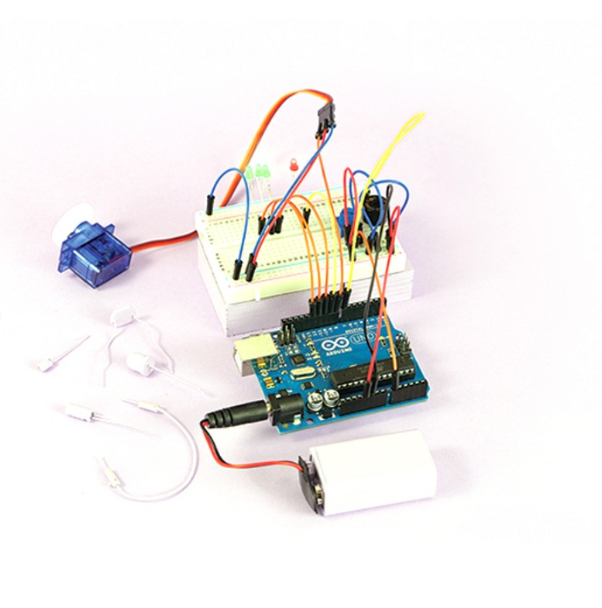 A DC motor, servo motor, tilt sensor, LEDs and other basic electronic components included. Comes with Arduino UNO board. 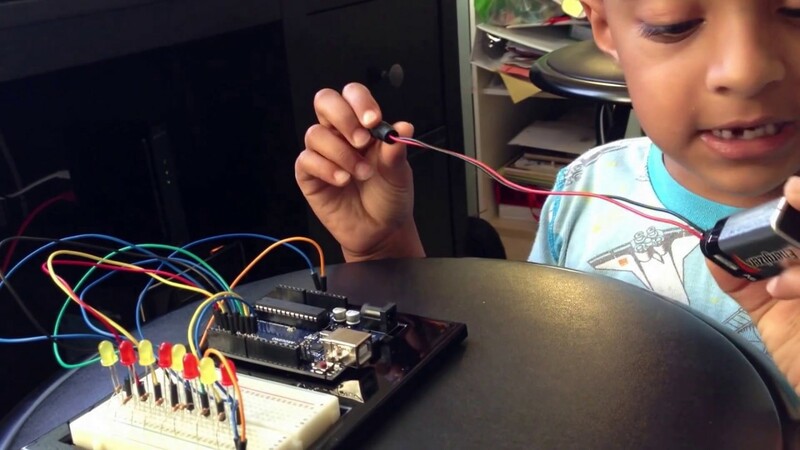 Arduino brings life to programming and electronics! The starter kit is like a father holding your hands as you learning to walk in the realm of electronics. It’s an open source platform delving in with hardware and software. So in layman terms, you can read inputs and convert to outputs. The inputs could be finger on a button, light on a sensor etc and outputs to turn on LED lights, publishing any news online etc. So is English difficult for you to understand? 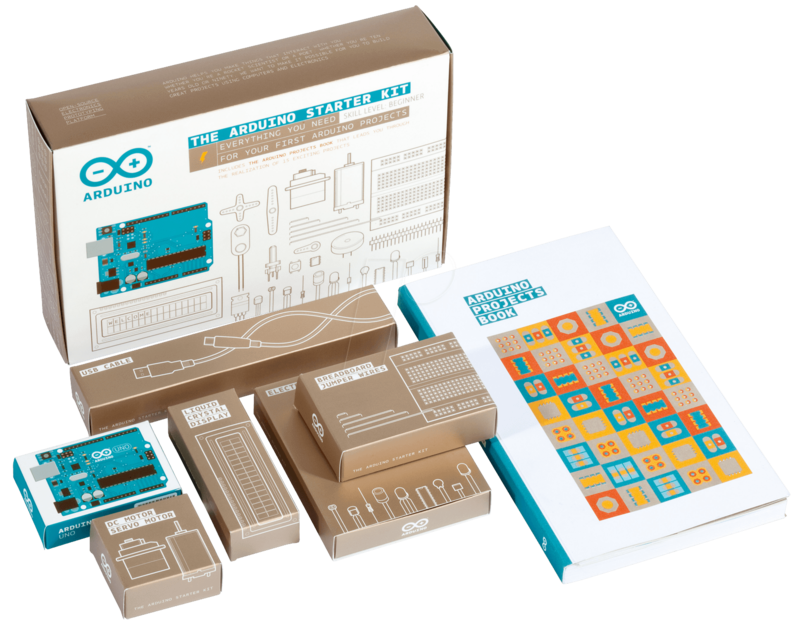 Never mind, Arduino starter kit is available in 8 different languages. 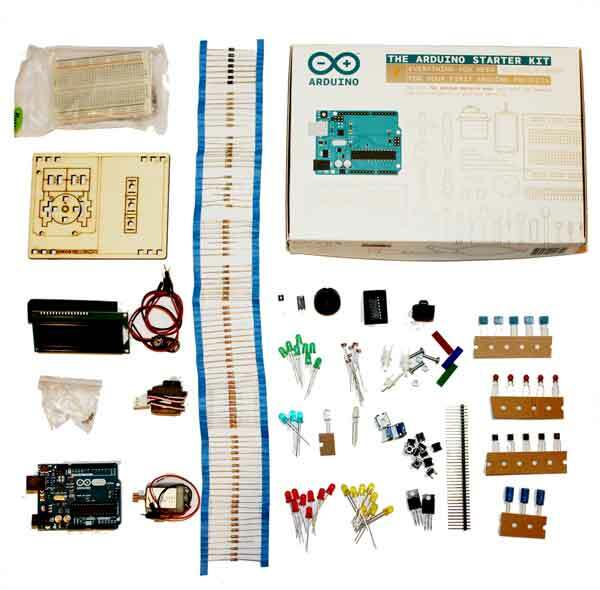 Arduino - The beginner’s kit is a powerhouse of Arduino creativity. You get a book of 15 projects and variety of most commonly used electrical components, so you learn in the most interactive way possible! Plus, students have a great fun learning time as well. So are you eager to get started using sensors and actuators to control the physical world out there? Let’s get started! Designing your first control panel for a star-ship. Get to know how hot-blooded and lovable you are! Let people know about your mood and if you’re having a good time! Build your own keyboard, make some noise, play great sounds! A light-up hourglass to stop you from working way too much! Your very own mystical tour to answer your toughest questions. Secret door open, tap the right code to open the door. A master control system to manage all your devices. 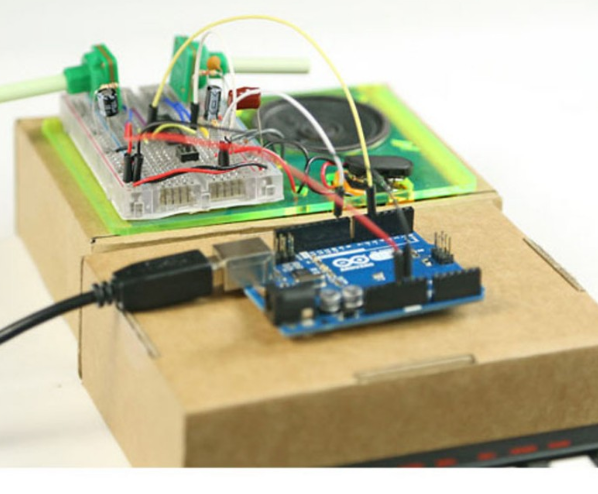 The creative projects take anyone from a beginner to a professional Arduino UNO artist. In a passionate endeavor to create the useful project equip students with the right software, circuit, and components knowledge to become an Arduino expert. Your inventions will make you smile. And Arduino supports your creativity by providing all the Arduino code for all of these discussed projects within the Arduino IDE. Plus, you get a variety of video tutorials for complete project walkthroughs. Getting started with such a kit is easy. You get all the help you need in form of video tutorials, manuals and ready-code. Learning Arduino is important because it’s an in-demand mind opening skill. You also learn about discrete electronic breakout boards, components and sensors. Learning about different hardware and software interactions make students mentally much smarter. All those hardware to hardware interaction of input devices (sensors etc.) and output devices (actuators etc.) add up to electronics skill set. Consider it a master class for truly getting to know your micro-controller, Arduino UNO R3.